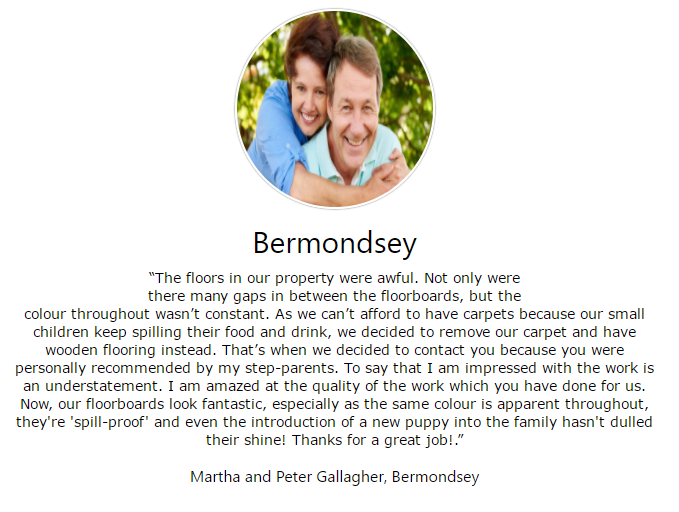 Floor Sanding Bermondsey, SE16 - Reasonable Wood Floor Renovation Professional Repair. Are your wooden floors in need of a health treatment of their own? It must be the case if they are damaged, shabby or generally past their best. Fortunately, the remedy is straightforward when you call upon a specialist company. The Bermondsey Floor Sanding Company! from hardwood boards to parquet blocks. efficient collection from our machines ensures minimal mess and disruption. • final protection with natural oil, hard wax or lacquer. from premium quality floor products applied to the highest degree of workmanship. Whatever the state of your floors..
ask our reliable family firm for your free assessment. 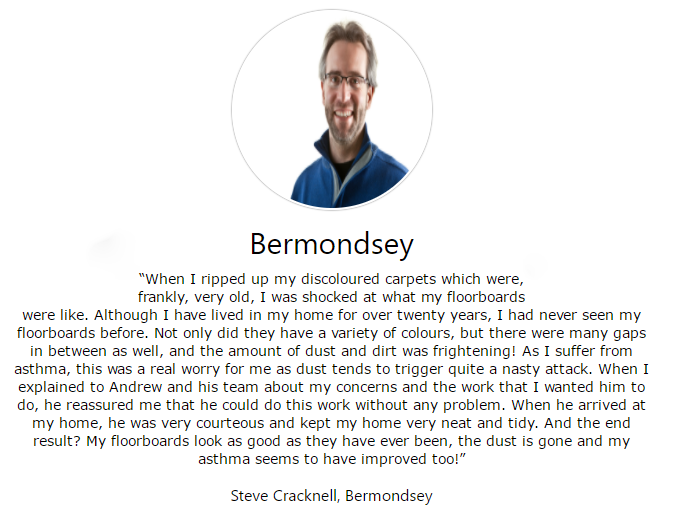 Contact the Bermondsey Floor Sanding Specialists today! TRUSTED BY THESE WELL KNOWN BRANDS AND HUNDREDS MORE . With over 23 years of sanding work knowledge, we're obligated on making sure that your wooden floors always get the best possible renovation service. Alfred Salter was the outstanding student at Guy’s hospital and seemed destined for a glittering career in medical research. Yet seeing the atrocious health conditions endured by the poor in Bermondsey, with TB rife and probably the lowest life expectancy in the capital, he became a poor man’s doctor - and a politician. His local labour party captured the Borough Council in 1922 and set to work in the dockland slums. Their pioneering health service attacked social conditions - and saw a fall within five years in both the death rate and new cases of TB. They planted avenues of trees and, instead of flats to replace the tenements, built cottages in a kind of garden suburb development. As MP, he fought for a new deal for local people. He and his wife Ada lived in the area all their lives and carried on even after their daughter died of scarlet fever. A little-remembered and dedicated local hero. Schools are incredibly busy places. On a daily basis, hundreds of students and teachers alike walk through the corridors and halls, sometimes rushing to get to their lessons on time. 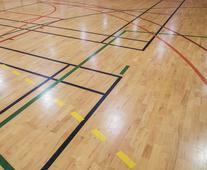 Over time, that means the floors start to show signs of wear and tear, as well as damage - in particular, the floor in a school's sports hall, especially if there are several PE lessons per week held inside the hall. A damaged floor can potentially be dangerous for students, so it's always a good idea to try and keep all floors in a school in top condition. Now that the summer holidays are underway, chances are that your school is going to be relatively empty over the next few weeks, making now the perfect time for restoring school halls. Even if your floors have minimal wear and tear, it's best to get it sorted out now before the students return. Once the summer holidays are over and the students start using the hall again, any wear and tear is likely to get a lot worse. 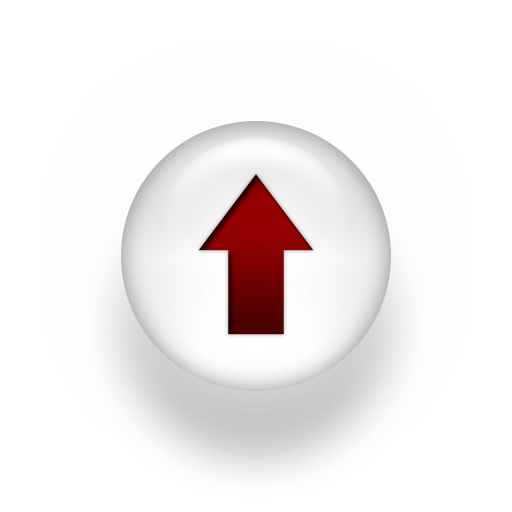 So, in order to prevent a potentially costly bill, you should be looking to take action now. 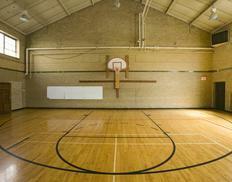 For more information on how we can help restore your school floors to their former glory, contact us today!